Everybody knows Honda’s long-running CB series of motorcycles—and their potential for being turned into cafe racers. 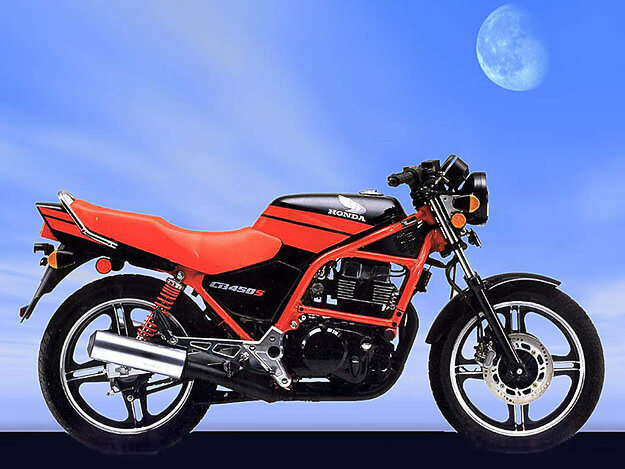 But one of the lesser-known variants is the CB450S, which was made in the second half of the 1980s. Details are sketchy: it was apparently built in South America, and sold in Germany and Canada. But that’s all I’ve been able to find out. The engine is an air-cooled twin pushing out a respectable 45 bhp, mated to a six-speed ‘box. (Apparently a ‘reduced effect’ model with only 27 bhp was also made, presumably for learner riders.) If anyone knows more about these bikes, please drop us a line in the comments. They’re chunky and well-balanced in a very 80s way: fit a solo seat and junk that rear fender, and you’ve got a rather good-looking bike.